That’s right! Our new website is finally on it’s way! It has been a long process, but we’re excited to bring our new design to light. So, over the next few days, you may notice that things on the site could look a little odd. We may actually have to put the entire website into maintenance mode to help us get everything completed. If this happens, you will not be able to access the Angel Messenger website. 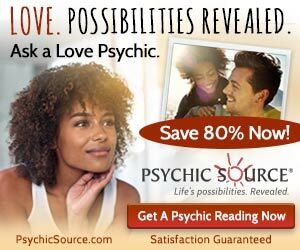 However, in this case, you mind find that it’s a good time to visit our sister site and get a Free Online Tarot Card Reading. We appreciate your patience as we get everything transferred over to the new site. If you’ve come here looking for Rev. Colleen’s weekly angel card readings, you can find Colleen’s videos on Rev. Colleen’s video page. However, Rev. Colleen is currently having some trouble with her YouTube account and cannot create the videos at this time. For some reason, YouTube decided that Rev. Colleen’s awesome weekly videos violate their terms of service. We will keep you updated as to when her weekly readings will return. Going forward, we are trying to make things a little easier and more user friendly for all of us. One of the things that will be changing is that Rev. Colleen’s weekly videos will not be posted as separate blog posts but will automatically uploaded as they are created to her video page. This means that the videos will likely be posted live on Angel Messenger earlier than they used to be. Get our most current status updates on our Angel Messenger and Free Tarot Facebook Page. http://www.angelmessenger.net/wp-content/uploads/construction-sign.jpg 364 548 Rev. Sheri http://www.angelmessenger.net/wp-content/uploads/Angel-Messenger-Logo-2016-v4.png Rev. Sheri2016-03-26 08:00:282017-01-24 15:21:28We Are Under Construction! Science and Paranormal Essay Why Do Spiritual Teachers Stop Teaching?